The new layer has been dubbed the Dua's Layer after the academic Professor Harminder Dua who discovered it. Professor Dua, Professor of Ophthalmology and Visual Sciences, said: "This is a major discovery that will mean that ophthalmology textbooks will literally need to be re-written. Having identified this new and distinct layer deep in the tissue of the cornea, we can now exploit its presence to make operations much safer and simpler for patients. "From a clinical perspective, there are many diseases that affect the back of the cornea which clinicians across the world are already beginning to relate to the presence, absence or tear in this layer." The human cornea is the clear protective lens on the front of the eye through which light enters the eye. 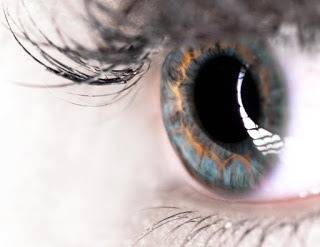 Scientists previously believed the cornea to be composed of five layers, from front to back, the corneal epithelium, Bowman's layer, the corneal stroma, Descemet's membrane and the corneal endothelium. The new layer that has been discovered is located at the back of the cornea between the corneal stroma and Descemet's membrane. Although it is just 15 microns thick -- the entire cornea is around 550 microns thick or 0.5mm -- it is incredibly tough and is strong enough to be able to withstand one and a half to two bars of pressure. The scientists proved the existence of the layer by simulating human corneal transplants and grafts on eyes donated for research purposes to eye banks located in Bristol and Manchester. During this surgery, tiny bubbles of air were injected into the cornea to gently separate the different layers. The scientists then subjected the separated layers to electron microscopy, allowing them to study them at many thousand times their actual size. Understanding the properties and location of the new Dua's layer could help surgeons to better identify where in the cornea these bubbles are occurring and take appropriate measures during the operation. If they are able to inject a bubble next to the Dua's layer, its strength means that it is less prone to tearing, meaning a better outcome for the patient. The discovery will have an impact on advancing understanding of a number of diseases of the cornea, including acute hydrops, Descematocele and pre-Descemet's dystrophies. The scientists now believe that corneal hydrops, a bulging of the cornea caused by fluid build up that occurs in patients with keratoconus (conical deformity of the cornea), is caused by a tear in the Dua layer, through which water from inside the eye rushes in and causes waterlogging.